I didn’t know how to respond, as I almost always add a spritz of fragrance as I sprint out the door regardless of where I’m going, whether it be to meet the Queen of England or play a round of golf. You could say it’s how I was raised. One of my fondest childhood memories is of my mom and dad getting ready to go out. They always got dressed up and my mom always wore perfume. She still keeps her lovely bottles of perfume perched like little trophies on a bathroom counter mirror. Joy and L ‘Air du Temps were her go-tos and to this day they remind me of her. We were a solid middle class Hispanic family so perfume was considered very special in our home. We got it for gifts and we gave it for gifts. Still do to this day. Every year I get perfume from my mom for either my birthday or Christmas. I do the same for my daughter and my husband is firmly all in on the sweet smelling gift-giving idea. “I just adore fragrance. I can’t leave the house without putting on a scent, even when I’m at my most minimal and rugged. I’m with you Carrie Bradshaw and Kate Middleton might also agree. 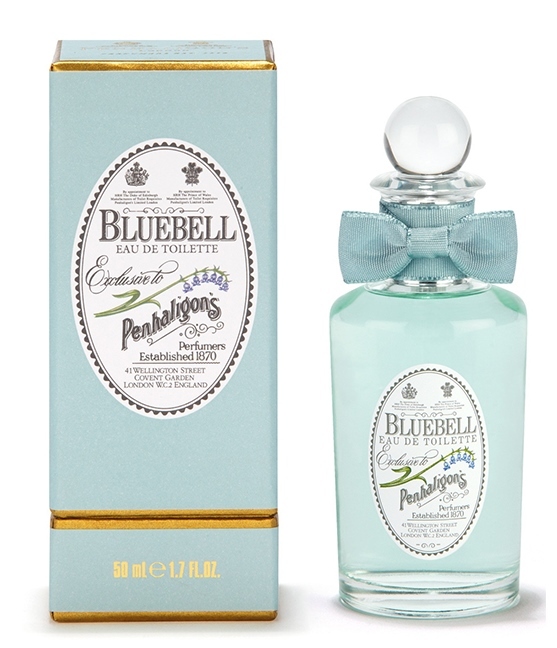 Just last week I learned what perfume the Duchess of Cambridge wore on her wedding day to Prince William: “Bluebell” by English brand Penhaligon. And while most of us can’t afford an Alexander McQueen gown similar to Kate’s, we can afford her royal-approved scent, which goes for around $50. Who doesn’t want to smell like a princess and have a special “something blue” to wear on her wedding day? I don’t know if Bluebell is Kate’s signature scent, but I do know than mine is Chanel’s Coco Mademoiselle. I’ve worn it for years and never tire of it. 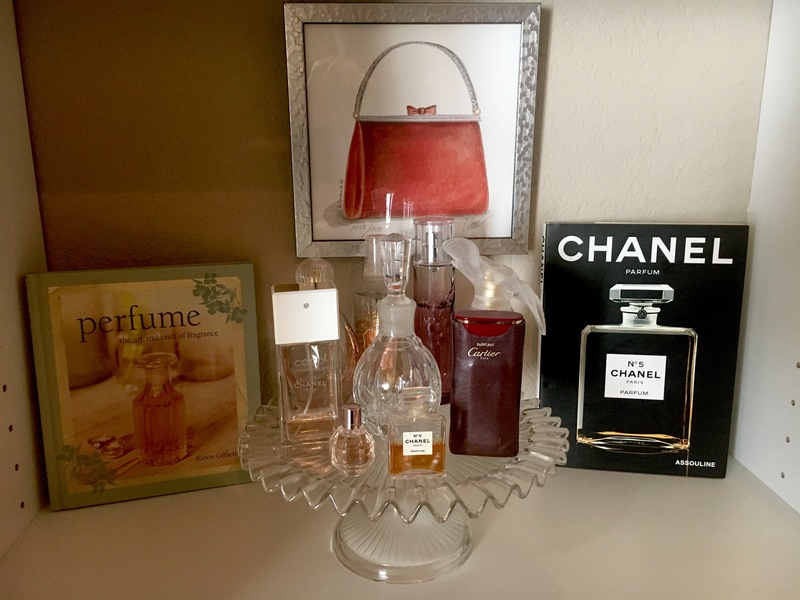 I do, however, like other scents, and on a crystal cake stand in my closet are perched some of my other favorites: Carrie Bradshaw’s perfectly named “Lovely,” David Yurman’s classic gold Eau De Parfum, Nina Ricci’s L ’Air du Temps (probably from my mom! ), Caudalie’s The Des Vignes, Cartier’s classic red, a small sample of the currently popular “Flowerbomb” to see what all the hoopla is about, and a trademark Chanel No. 5 perfume that I bought in Chanel’s flagship Paris boutique. If I could, I’d probably also have a bottle of Ralph Lauren’s original square red-bottled fragrance, as it will forever remind me of college. Sweet Honesty, Jovan Musk, and Clinique’s Aromatics will always bring back my younger years. Then there’s Charlie, White Shoulders, and even Halston. We all remember them, right? Perfume has a funny way of lingering in our memories. You could say it’s almost spiritual. I recently read Author Rita Snowden’s story about visiting a small village in Dover, England. Sitting one day in an outdoor café, she picked up the most beautiful of scents and later learned that what she smelled was the villagers themselves, most of who worked in a nearby perfume factory. 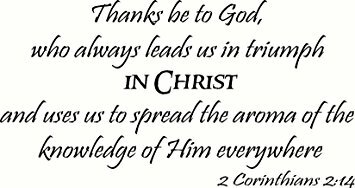 The blog “Our Daily Bread” compares a person’s aroma with their Christian life, quoting Paul as saying “we are the aroma of Christ, spreading His fragrance everywhere.” Indeed. We “spray and spritz” Jesus through our words and our actions. We can tell others about Him, speak words He would be proud of, and conduct ourselves in Christ-like ways. At the same time, as we follow Jesus, we become permeated with His fragrance and carry His aroma with us. Okay, so we want to smell good and do good, but when it comes to perfume, how can we do it best? First of all, understand that perfume is activated by body heat so for long-lasting results spray it on pulse points like your wrist, neck, behind your knees, and on your ankles. If you want a more subtle scent, spray it on your hair and clothing and if you really want your scent to last, layering may help. This is when you combine a body lotion with a perfume. Either way, make sure your skin is always moisturized as nourished skin helps a fragrance last longer. Also, be sure to store perfume bottles away from light sources. Fragrance in perfume is built in what are called “notes.” The “top” notes of a fragrance are what you smell right away but burn off the most quickly. These are often citrusy or fruity. Florals are often “middle” notes, which are considered the heart of any fragrance, are warm and soft, and last longer than top notes. “Base” notes develop last, linger longest, and consist of those heavier woodsy and musky scents. Still, just because a scent smells wonderful on someone you know doesn’t mean it will smell the same on you. Just as chemistry-like labs are where perfumes are concocted, body chemistry is really the final ingredient in how any fragrance smells. I’ve had many a friend and family member buy Coco Mademoiselle because they like how it smells on me only to be disappointed that it smells entirely different on them. Many perfumes stand the test of time, others come and go. The newest trend in perfume is “fragrance cocktailing.” This is the art of mixing two or more scents to create a scent no one else will have or be able to purchase, unless of course you divulge your mixing secrets. If you are tempted to go this route, consider doing so with two fragrances that have a common ingredient, say jasmine or musk. Or if you’re the adventurous type, do the opposite and mix two completely different scents such as citrus and spice. Either way, have fun with it as there is no right or wrong way! Okay, but what’s up with cologne, perfume, eau de toilette, and the likes? Basically, they are all variations based on the potency of the perfume. The higher the concentration of fragrance oil, the more staying power and usually the higher price. Parfum boasts the most oil concentration, followed by Eau de Toilette, and then Cologne, which got its name from the German city in which it was first created. 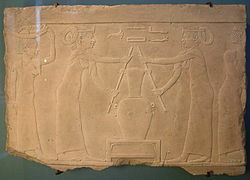 The word perfume comes from the Latin “per fumus” meaning “through smoke” and its origins vary from India to Cyprus to Persia. The first modern perfume is thought to have been made at the command of Queen Elizabeth of Hungary in 1370. France soon became the center of perfume making but perfumes were used primarily by royalty and the wealthy to mask body odors. It ultimately came into its own with Louis XV’s reign who named his court “la cour parfumee” court and who demanded a different fragrance for his apartment every day. Madame de Pompadour was also known to order generous supplies of perfume and Napoleon continued the tradition, demanding two quarts of cologne every week and 60 bottles of jasmine extract every month. Still, it wasn’t until the 19th century that modern fragrances really developed as chemists began using molecules to create new scents and later when a little glass bottle with a number on it hit the market. In 1903 Chanel No 5 perfume was created by the House of Chanel and the rest is perfume history. Everyone knows its iconic simple square bottle but the story behind it and its name is just as intriguing as its scent. From an early age, the number 5 was important to French orphan Gabrielle Chanel. She attended daily prayer at her convent-run orphanage in a circular pattern that repeated the number five and she had an affinity for the five-petal rose that was found in the abbey’s gardens and surrounding hillsides. Years later and then a high-end fashion designer, “Coco” Chanel was presented with small glass vials containing sample selections to be made into a perfume under her name. The vials were numbered 1 to 5 and 20 to 24 and she chose the fifth vial. A friend I’ve known since our daughters were in preschool has worn the same scent all these years. If I close my eyes I can smell it, if I smelled it anywhere I would look for her, and if she wore any other fragrance I would pitch a fit. At work just last week I hugged one of my coworkers and smiled as I smelled like her perfume all day. 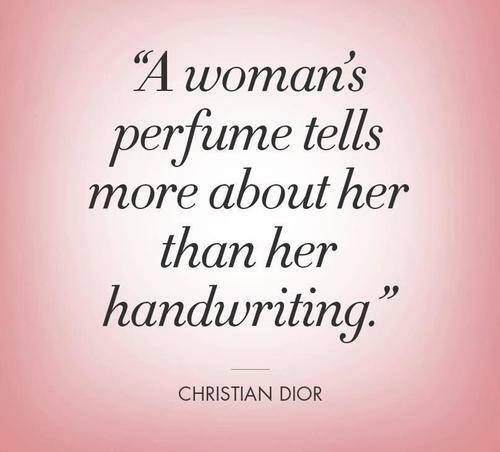 That’s how significant perfume can be. There’s a reason the global fragrance market is worth an estimated $40 billion. Smells like a winner to me. 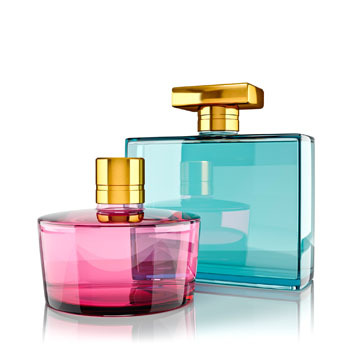 Do you have a signature scent? Do you wear perfume and if so, when? Do certain perfumes remind you of certain memories or people? Please share your thoughts!